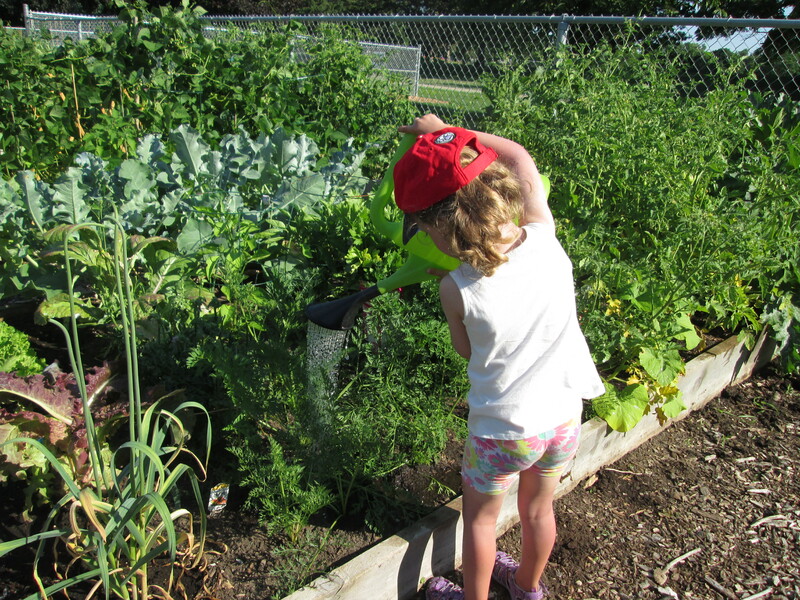 A young gardener tending to a recently planted community garden plot. I live in a condominium. Unfortunately, there isn’t enough space or sunlight to plant a vegetable garden. A few years ago, I was excited to learn a new community garden would be built in my neighbourhood park. I filled in an application for that growing season and crossed by fingers. You know that saying, “third time’s a charm.” Well for me, that rang true, sort of. You see, for three years my name wasn’t drawn in the garden plot lottery. After the first year, the city’s community garden coordinator emailed me to ask if I’d like to enter the lottery for the next growing season. I said yes! Unfortunately, my name was not selected in 2017 or 2018 either. Much to my surprise, I was notified this past April of a cancellation. I finally had my garden plot. My daughter was thrilled. She loves getting her little hands dirty and helping her mother, a good combination I thought. I told my neighbour about my luck and found out she had never grown her own food. When asked if she wanted to share the plot, she promptly said yes. I was excited at the prospect of three generations sharing one garden plot. We signed the necessary documentation, paid the fee and prepared for our new adventure. I bought some veggie plants, mostly based on what my daughter loves to eat, including broccoli, celery, and peppers, along with tomatoes, onions and some greens. A wonderful bonus was the garlic the city’s community garden coordinator planted in the corner of each garden plot the previous fall. I heard about the friendly nature of people within the community gardens. From our very first experience in the garden, I knew this to be true. A gardener, in the neighbouring plot, offered two zucchini plants. Even though I had never grown it before, I accepted her offer. Not only did we get free zucchini plants, but she planted them for us! Now, that was nice. As imagined, my little one enjoyed getting her hands very, very dirty and excitedly stepped into the plot to water and harvest all our crops. My neighbour, who is not a fan of cooking, made quite a few recipes from our many, many zucchinis! Since I love to bake, I made muffins, cakes and brownies. Did you know you can freeze shredded zucchini to use in baked goods another time? Sharing the maintenance and harvest with my neighbour worked out very well. And my very shy daughter finally bonded with her neighbour! With the 2018 season over, I can’t wait to see if my name will be selected in the lottery for next year. The City of Burlington has five community gardens with 204 plots. The deadline for applications is Friday, Nov. 30. If your name is drawn, you will be notified the first week of December. Brant Hills Community Centre, 2255 Brant St.
Burlington Seniors Centre, 2285 New St.
Haber Community Centre, 3040 Tim Dobbie Dr.
To learn more about the five city-run locations or for more information, please visit www.burlington.ca/communitygardens. 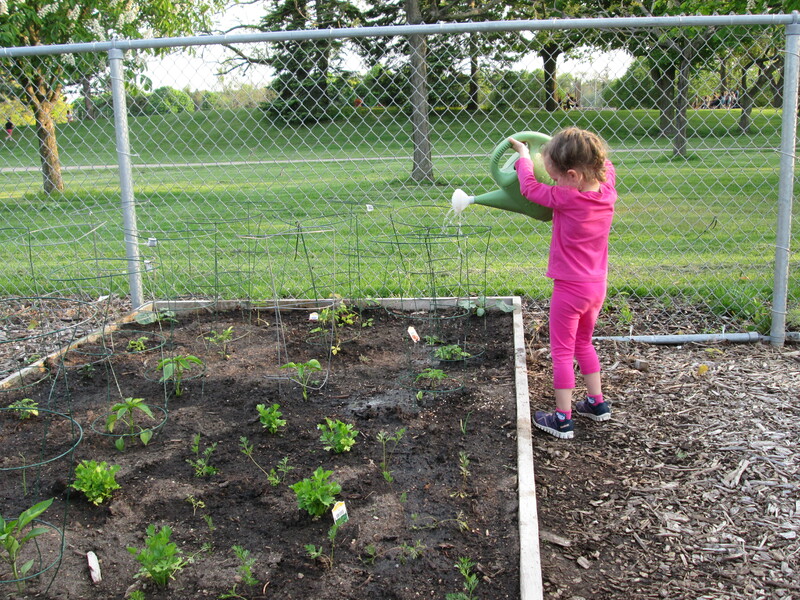 A young gardener tending to a community garden plot. Great three generational gardening story. Here’s hoping your luck continues next growing season, and you’re back getting your hands dirty.